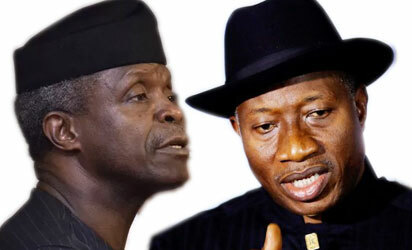 Former President Goodluck Jonathan, yesterday, replied Vice President Yemi Osinbajo on claims that his government shared N150 billion two weeks before the 2015 elections, asking him to provide documentary evidence of the sharing. The Vice President had at the 7th Presidential Quarterly Business Forum for private sector stakeholders at the Conference Centre, Old banquet Hall, Presidential Villa, Abuja, on Monday, said: “In one single transaction, a few weeks to the 2015 elections, sums of $100.289 million were just frittered away by a few. When you consider that in 2014, as the Minister of Finance has said, that oil price was an average of $110 a barrel and only N99 billion was spent on power, works and housing and when we talk about the economy, we talk as if these are normal by every standard. “Nobody should talk about the economy when you have this kind of huge leakages and huge corruption that completely makes nonsense of even what you are allocating to capital projects. “We saw from the presentation of Minister of Finance that N14 billion was spent on agriculture in 2014, transportation N15 billion; so the total spent on infrastructure in those three years was N153 billion and in two weeks before the elections, N150 billion was essentially shared. “So if your total infrastructure spending is N153 billion and you can share N150 billion, that is completely incredible. That sort of thing doesn’t happen anywhere else in the world. And when we are talking about the economy, we must simply understand that it is the problem. But responding to the allegation, Media aide to former President Jonathan, Reno Omokri, noted in a statement, yesterday, that the Vice President, being a professor of Law must know that he who alleges must also prove, in order to be taken seriously. He said: “My attention has been drawn to rehashed lies in the media by the Vice President, Professor Yemi Osinbajo, against the person of former President Jonathan. 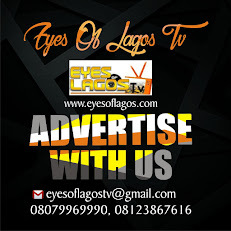 Eyes Of Lagos gathered that, According to him, the statements credited to Osinbajo not only represented deliberately twisted facts and figures but has also exposed the nation’s second citizen as a man incapable of telling the truth in matters relating to the former President. He said further: “Only on October 20, 2017, Vice President Osinbajo was in Anambra State where he said that the present administration had paid $2 billion for the second Niger Bridge. ‘’I personally exposed that lie and forced the Presidency to issue a ‘clarification’. He also faulted the position of Osinbajo on Jonathan’s handling of the agricultural and infrastructural sectors. “It is a lie that the Jonathan administration spent only N14 billion on agriculture and N153 billion on infrastructure in three years as alleged by Osinbajo. “The Jonathan administration budgeted and spent over $10 billion on infrastructure in the five years between May 6, 2010 and May 29, 2015. The single most expensive and valuable project built in Nigeria in the last 20 years is the $1.8 billion Abuja-Kaduna 187 kilometres super-fast railway that enables Nigerians work in Abuja and live in Kaduna. This project was built and completed by the Jonathan administration. “Also, former President Jonathan revived Railways in five of the six geo-political zones and restored direct rail services from Lagos to Kano, Port Harcourt to Maiduguri and Makurdi to Gombe. “In contrast, the Buhari administration, which in less than three years, has borrowed more money than the PDP borrowed in 16 years, cannot point to even one major project they have started and completed. Both President Buhari and Vice President Osinbajo keep accusing the Jonathan administration of being corrupt and claim that they run an anti corruption government. “If this is true, how come Nigeria made her best ever improvement in Transparency International’s Corruption Perception Index under former President Jonathan in 2014 when we moved 8 places forward from 144 to 136 and why have we made our worst ever retrogression in the Corruption Perception Index under President Buhari, moving 12 places backward from 136 to 148 in 2018? “The truth is that Vice President Osinbajo continues to make these discredited comments because he is a man promoted above his competence,” Omokri alleged. Describing corruption as a cankerworm that had become systemic in the country, he said: “I do not think that any consideration about our economic development can be properly and honestly done without fully analyzing corruption, especially grand corruption, in the public finance space. “You see that despite record high levels of oil prices, very little was invested in infrastructure and a record level of leakages was recorded in the past few years. This is the fundamental issue in our economy. ‘’Corruption affects everything. It affects even judgment as to what sort of infrastructure to put in place or whether infrastructure will ever be complete. It is so fundamental that we can’t even think of our economy without thinking of what to do about it. “Sometimes when we talk about our economy, we talk about the fact that we have relied on single commodity and that is one of the reasons we are where we are. Yes, that’s quite true but the fact is that proceeds from that single commodity were regularly hijacked consistently by a few. ‘’That is really the problem. If we had spent the proceeds from that single commodity the way we ought to, we won’t be where we are today.